At a time when social media addiction has often led married couples to the divorce court, ‘Avengers: Endgame’ has managed to lure a growing number of Marvel fans away from their screens in a bid to avoid spoilers. Earlier this week, key scenes from the highly anticipated superhero film were leaked online, prompting several Twitter users to take drastic measures in a bid to avoid spoilers. The incident also prompted the film’s directors, Anthony and Joe Russo, to issue a statement, appealing to fans to avoid ruining the experience for viewers. “Please know that the two of us, along with everyone involved in ‘Endgame’ have worked tirelessly for the last three years with the sole intention of delivering a surprising and emotionally powerful conclusion to the Infinity saga,” the brothers wrote in a statement that was posted online. “When you see ‘Endgame’ in the coming weeks, please don’t spoil it for others, the same way you wouldn’t want it spoiled for you,” the statement further read. UAE resident and self-confessed Marvel fan Anthony Permal admitted he’s cut down his average time spent on social media from five hours to half of that to avoid being dealt spoilers ahead of the April 24 release of ‘Avengers: Endgame’ in the UAE. Users such as Jeremy Conrad have also posted tips to others on social media on how to avoid spoilers. “If you’re using Twitter on your mobile device, go into settings and display and sound and turn off media previews to avoid someone spoiling #AvengersEndgame for you. #DontSpoilTheEndgame,” he tweeted. Meanwhile, others have taken more drastic measures, such as social media user ChiChi Odo who posted the tweet ‘Me when April 26 rolls around. #DontSpoilTheEndgame’, with an image of him deleting his Twitter app from his mobile phone. As the 22nd film in the current Marvel Cinematic Universe (MCU), ‘Avengers: Endgame’ is expecting a record opening in the UAE, with industry estimates closing in on nearly 60,000 in pre-ticket sales already, a week ahead of its release. According to a UAE-based industry source, most Hollywood blockbusters, including successful films such as ‘Fast and Furious 7’, average between 10,000 to 15,000 in pre-sales. In comparison, ‘Avengers: Endgame’ has already broken all records, they stated. Such is the frenzy for tickets that Reel Cinemas, The Dubai Mall is hosting the first showing of the superhero film at 3am on April 24, followed by 24/7 screenings until April 26 to keep up with demand. In the US, Boxoffice.com is predicting a “titanic” opening of $265 million (Dh973.21 million) for the film. They peg the overall, long-term tracking for the three-day opening between $250 and $290 million; ‘Avengers: Infinity War’ set a box office opening record of $257.6 million last year. Boxoffice.com further says the US domestic total for ‘Endgame’ could ultimately reach as high as $695 million, which would surpass ‘Infinity War’s’ total of $678.8 million. 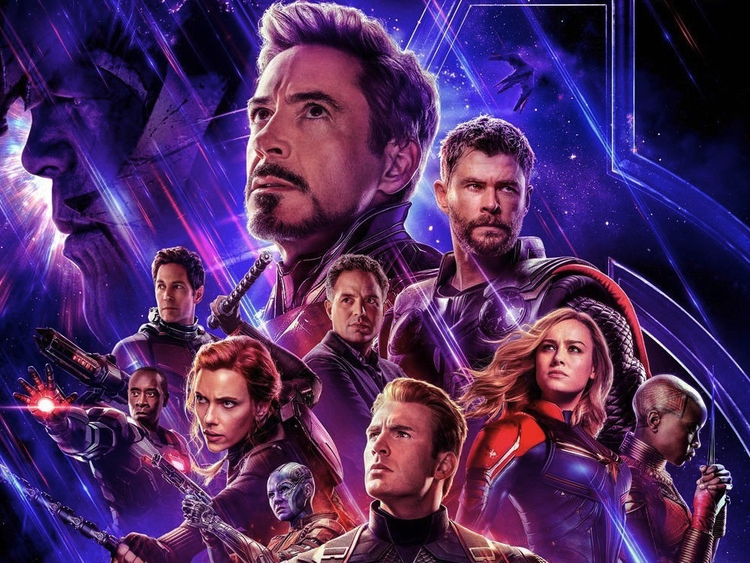 Whether or not ‘Avengers: Endgame’ sets a new record at the box office, the social media effect ahead of its release has certainly set a new record among fans. While Marvel geeks eagerly await the return of Iron Man, Captain America, Thor and the gang to save the universe post snap, the Russo Brothers and their most ardent fans have just one message for party poopers: Thanos demands your silence. ‘Avengers: Endgame’ releases across the UAE on April 24.